Prehistoric World: The First Fishes! V. T. Hamlin’s Dinosaurs: Dinny’s Family Album in Color! 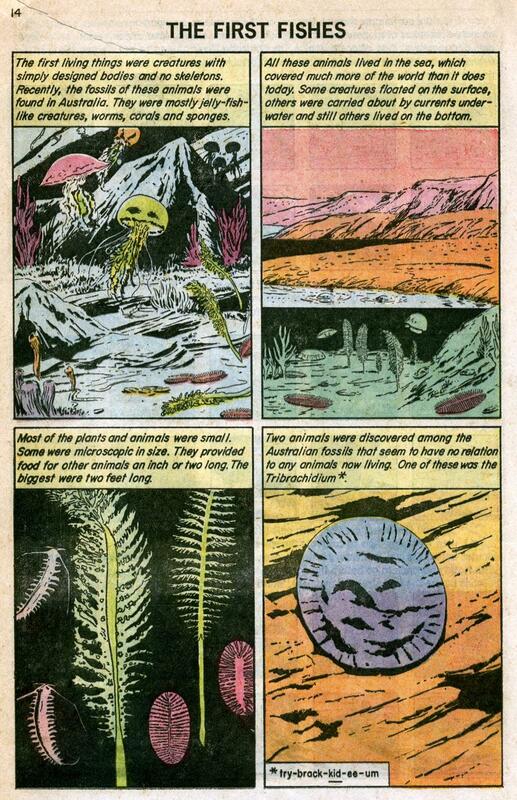 In our quest for what Steve Bissette called “Pure” Dinosaur Comics, we discovered V.T. Hamlin. Hamlin wrote and drew Alley Oop, a caveman with a pet dinosaur named Dinny. For years, Hamlin included a feature called Dinny’s Family Album. It was a single panel in the Alley Oop strip showcasing a prehistoric dinosaur, fish, bird, or mammal. 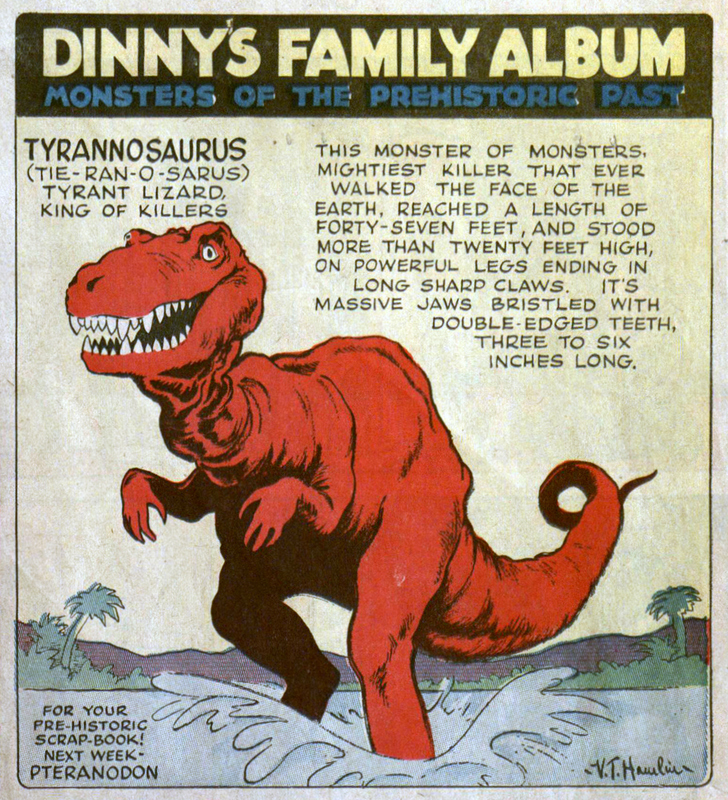 Alley Oop may not have been pure dinosaur comics, but Dinny’s Family Album sure was! Here are some of the color images we found on the web. You will find here cephalapsis, pterichthys, dimetrodon, dinichthys, eohippus, glyptodon, phororhacos, plateosaurus, plesiosaurus, and tyrannosaurus rex! Here’s a special treat for you, dinosaur comics fans! Comics creator V.T. 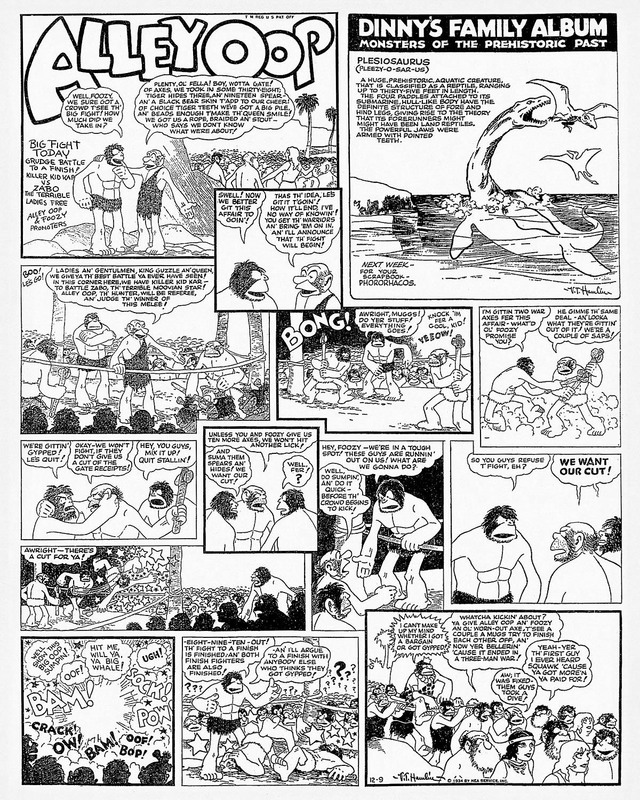 Hamlin included each Sunday in his Alley Oop newspaper strip a special panel called Dinny’s Family Album. Dinny’s Family Album offered a non-fiction look at the early 20th century’s best take on dinosaurs, prehistoric mammals, and other prehistoric animals. Today we’ll feature the strips from 1934, from September 09 to December 30. You’ll discover ceratosaurus, stegosaurus, brontosaurus, iguanodon, tylosaurus, triceratops, mammoth, tyrannosaurus rex, pteranodon, dinichthys, dimetrodon, platybelodon, glyptodon, plesiosaurus, phororhacos, plateosaurus, and eohippus! Many thanks to Dale from HI for sharing his scan archives with us! Dinosaurs Rule!